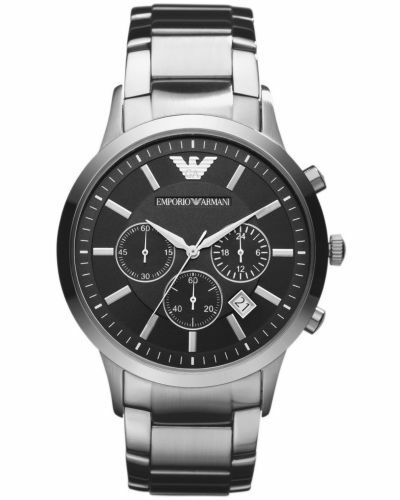 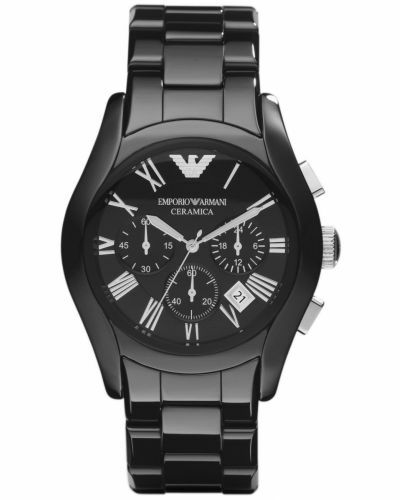 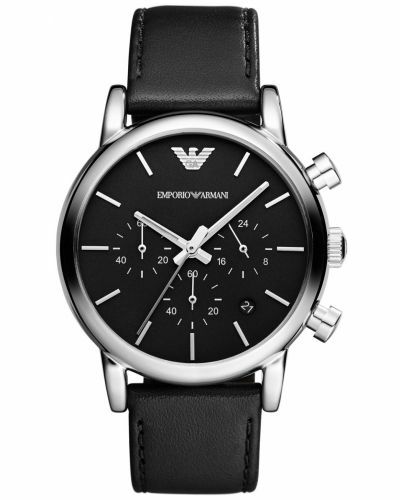 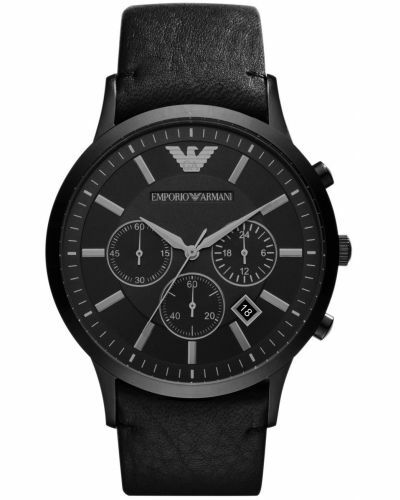 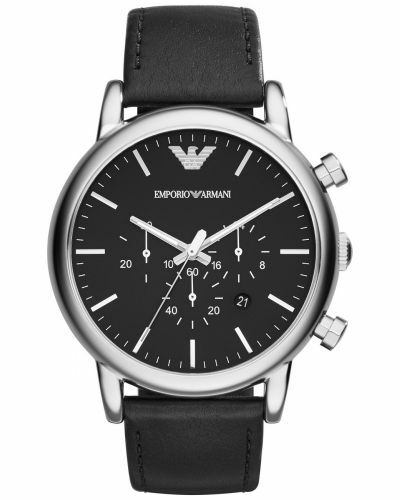 Men's Emporio Armani black ION plated leather designer chronograph watch with a round 41mm case. 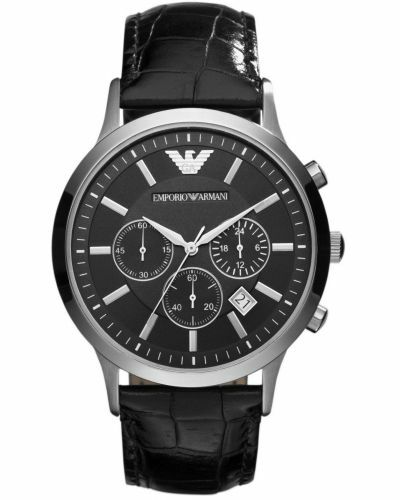 Has a stealth black dial with grey batons and hands, a date display window and three chronograph sub dials. 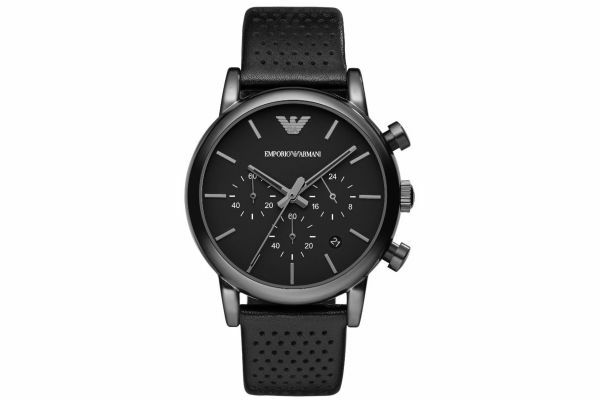 Features a black perforated leather strap with a black ION buckle. 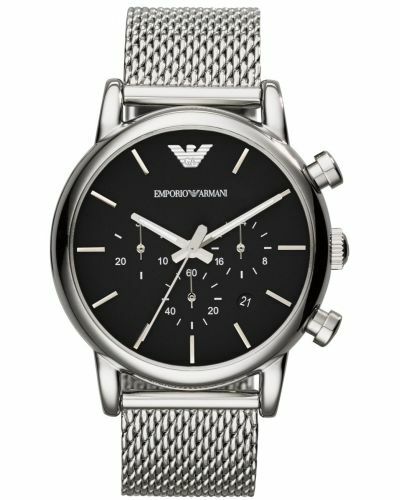 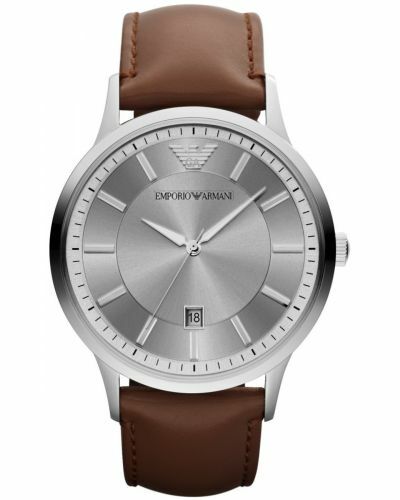 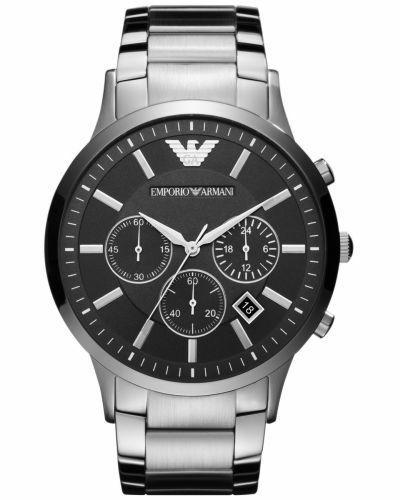 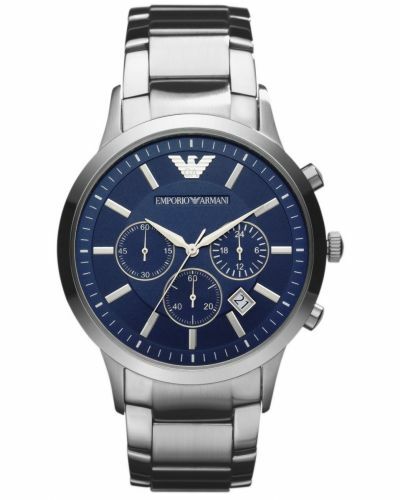 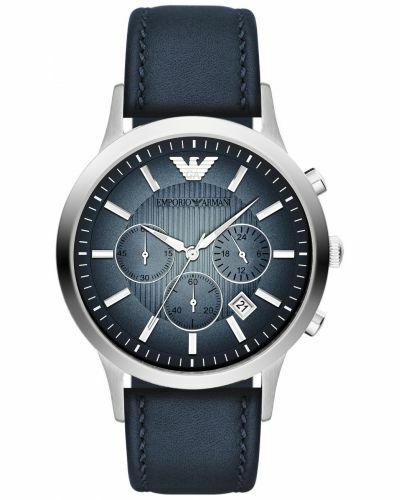 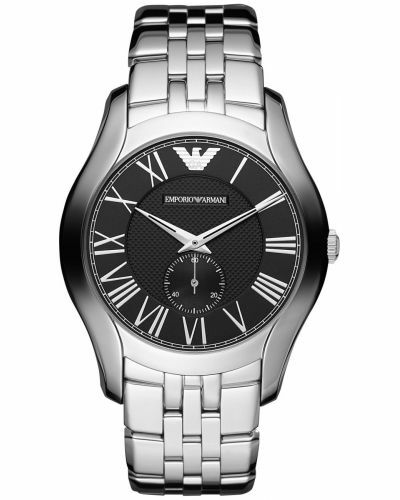 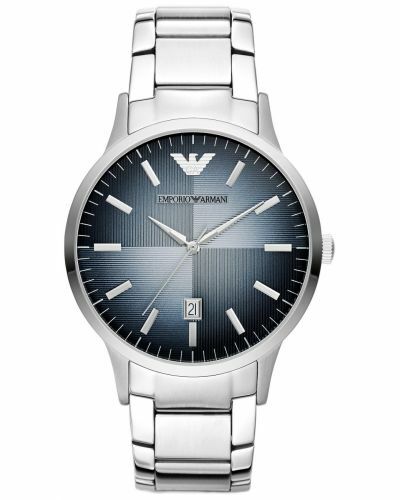 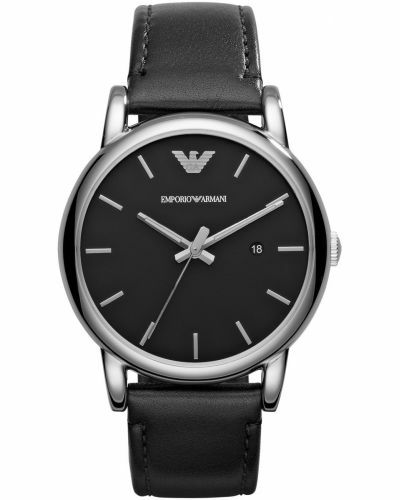 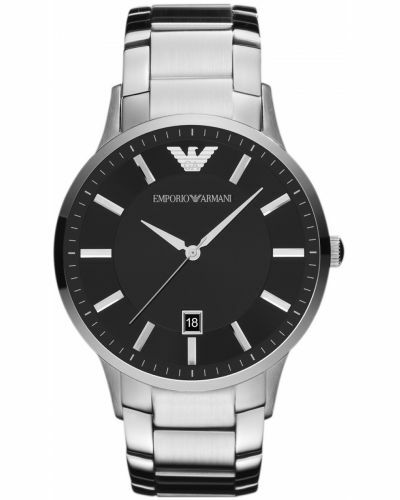 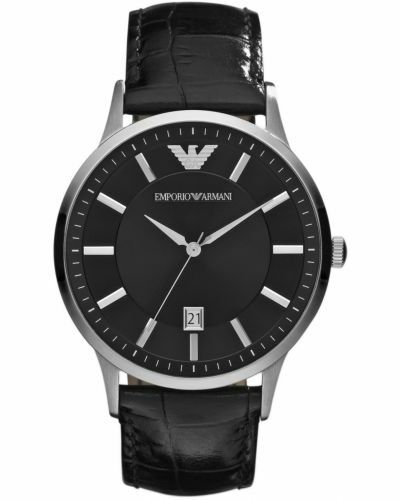 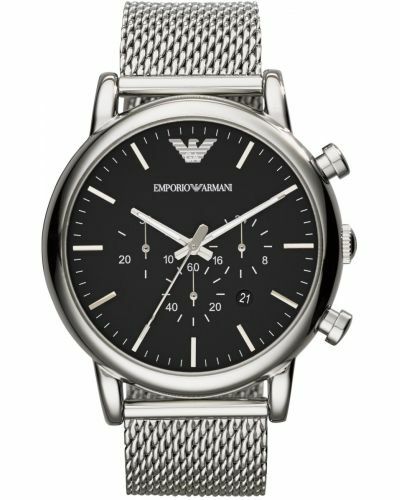 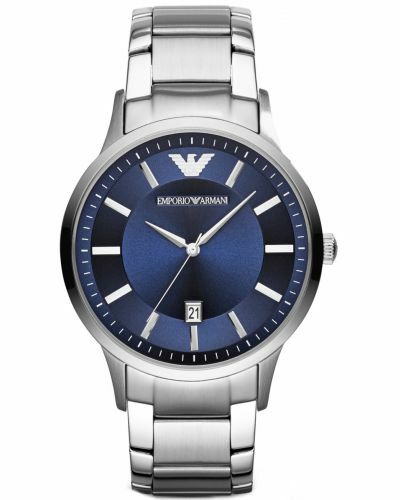 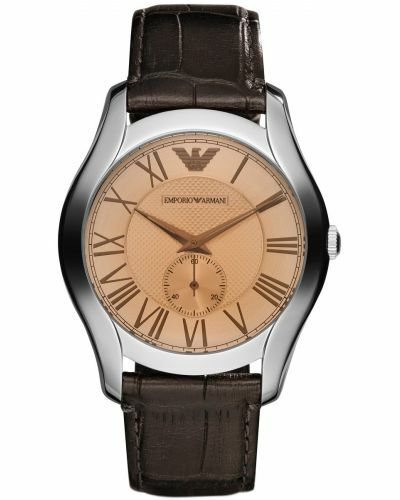 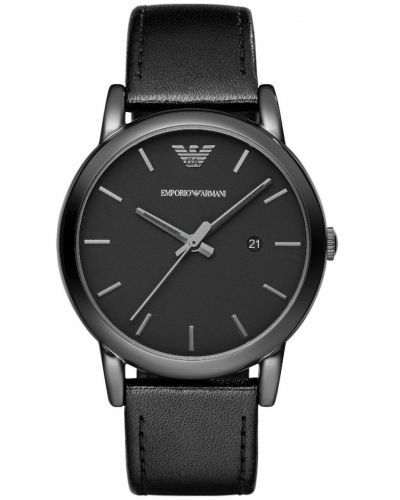 Powered by a quartz movement and comes with the Emporio Armani 2 year guarantee.